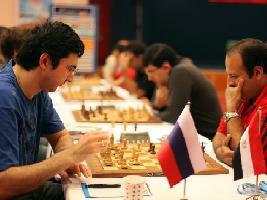 Russia has won the World Team Chess Championship 2013 with a solid performance. 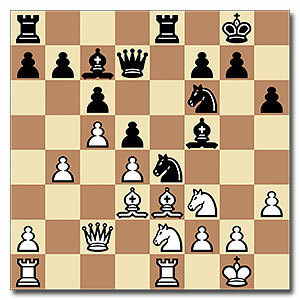 Here is a game from the last round that nearly gave Russia the jitters towards the end, but all credit to Vladimir Kramnik to keep pushing for a win and Mohamed Ezat of Egypt to keep the score down to a draw. An exciting big fight, worth-a-watch chess game. 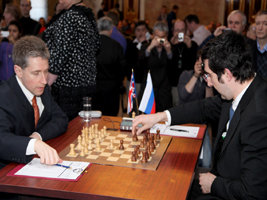 Read a full report, on Chess Blog, about Russia winning the World Team Chess Championship 2013 in Antalya, Turkey this week. 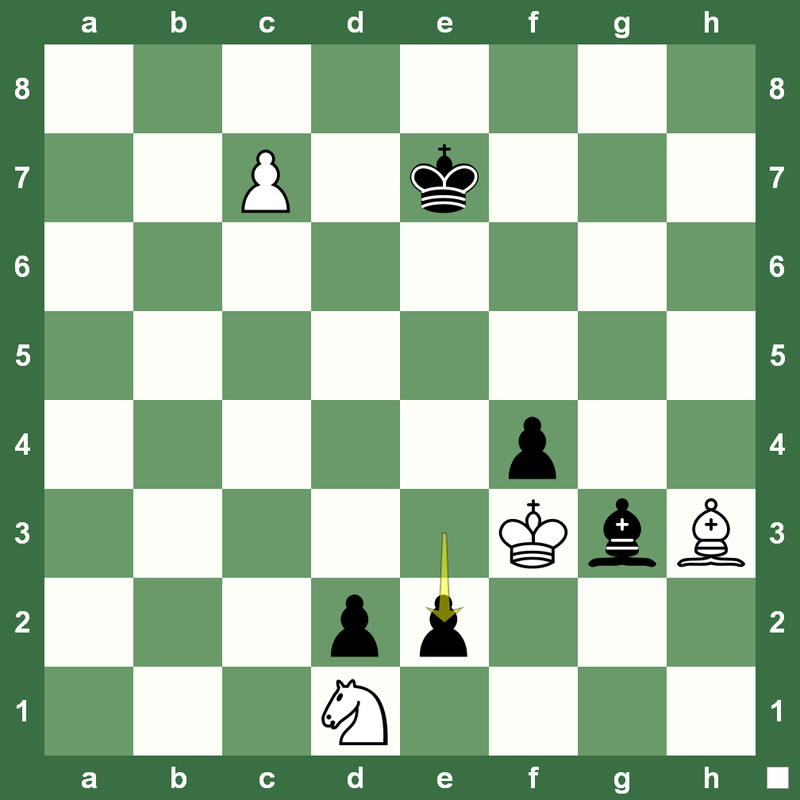 Here is the ruthless first game of the World Chess Cup 2013 that Vladimir Kramnik played to beat country-mate Dmitry Andreikin in Tromso, Norway on Friday. 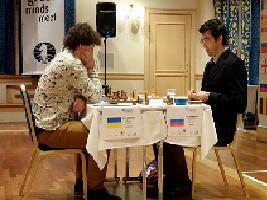 Both the Russians have already qualified for the World Chess Cup 2013. 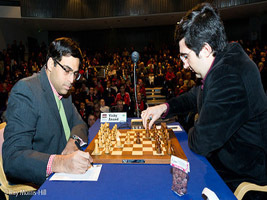 For a full report on the World Chess Cup, read Chess Blog. 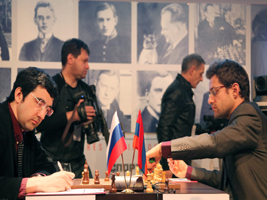 The World Chess Cup being played in Tromso, Norway is now in the fifth round. The knockout tournament has only eight players left from a pool of 128. 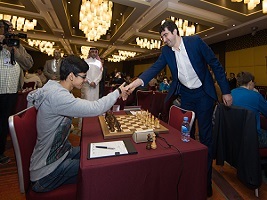 In the first game of Round 5, all other games were drawn, but Russian Grandmaster Vladimir Kramnik beat Anton Korobov with a nice finesse. Replay the game with Chess King. 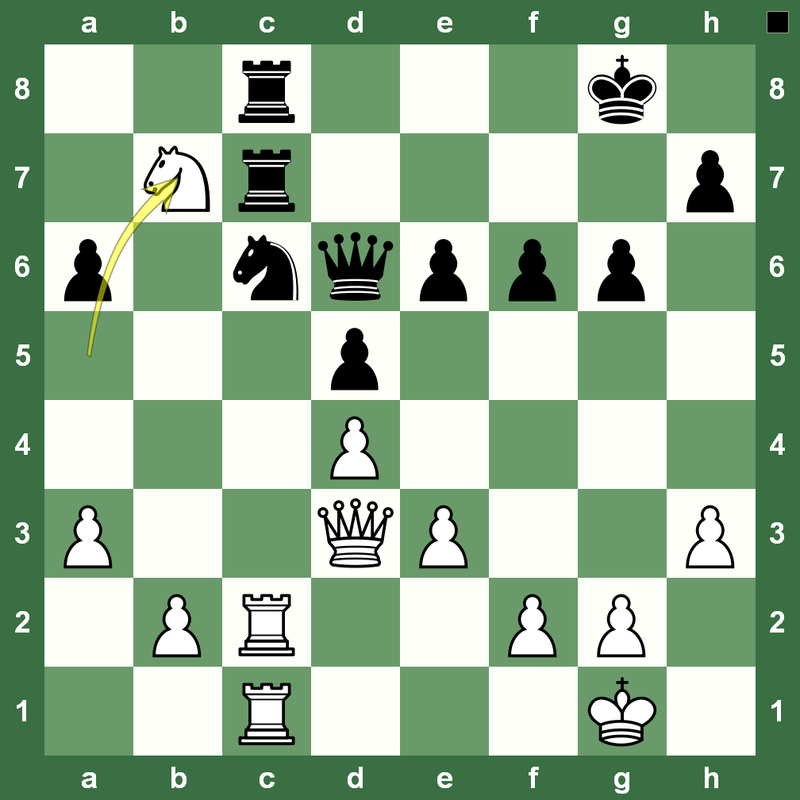 Chess King brings you a puzzle from the games of one of the strongest Grandmasters of our times. 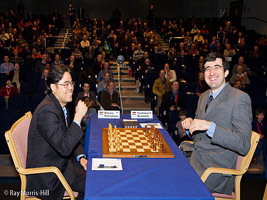 Former World Chess Champion Vladimir Kramnik was in form to beat US Chess Champion Hikaru Nakamura in the second round of the London Chess Classic 2012 on Sunday. 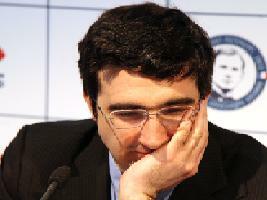 Kramnik made the Queen ending look like a piece of cake. 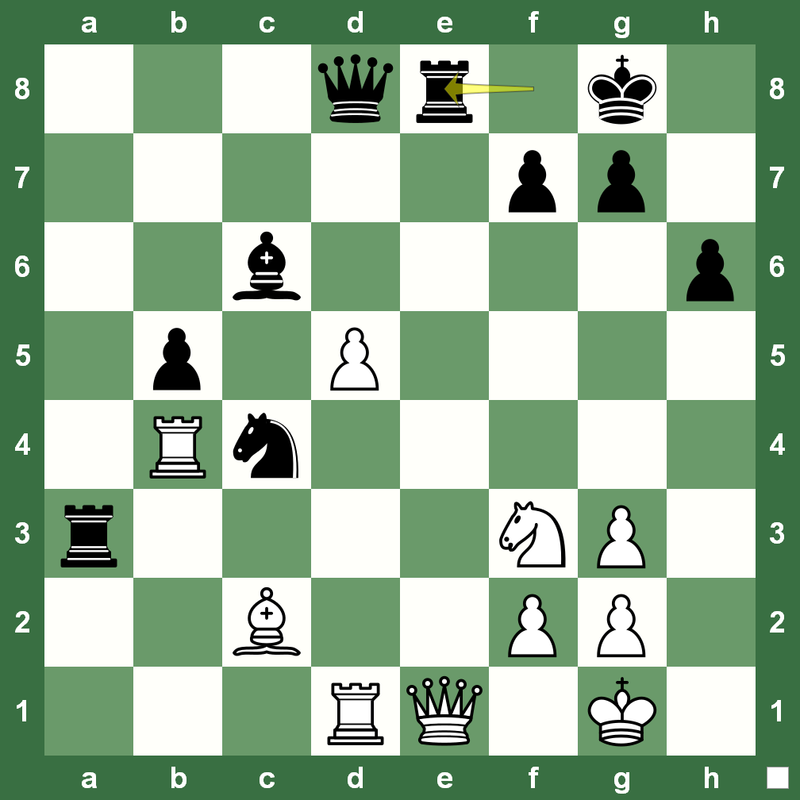 Enjoy the game in the super Chess King applet. 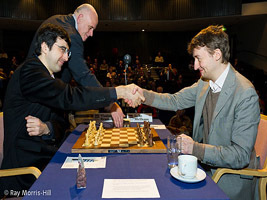 The London Chess Classic 2012 first round was played on Saturday, December 1. 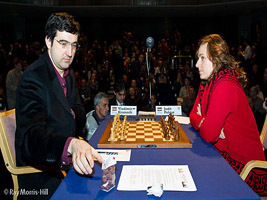 World’s highest-rated woman chess player, Judit Polgar, dropped a piece in the middlegame and could never recover against former World Chess Champion Vladimir Kramnik. Replay the game with Chess King. 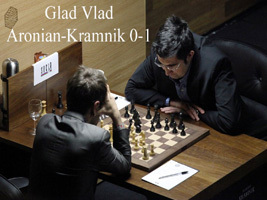 Vladimir Kramnik’s game in Round 6 against World No. 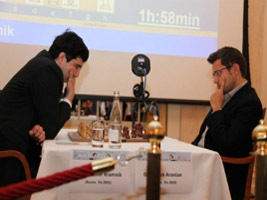 2 Levon Aronian at the Istanbul Chess Olympiad 2012 is going to be in the history books for sure. 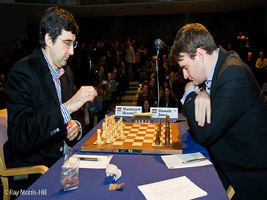 Here was a former world chess champion from Russia taking on one of the most talented grandmasters of the modern times. 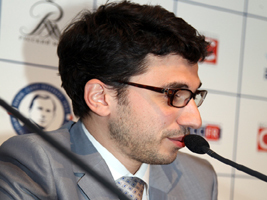 Mercy was the last thing on Kramnik’s mind as he went for a devastating Knight sac and destroyed Aronian in a surgically-conducted attack. 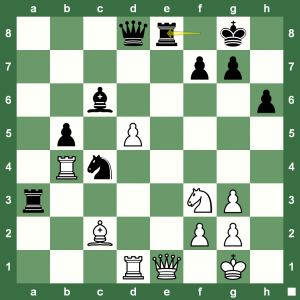 A pleasure to watch in the Chess King applet. 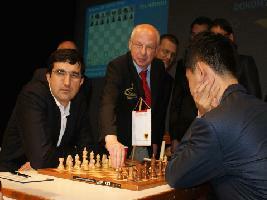 For a report on Round 6 at the Istanbul Chess Olympiad, check out this Chess Blog link. 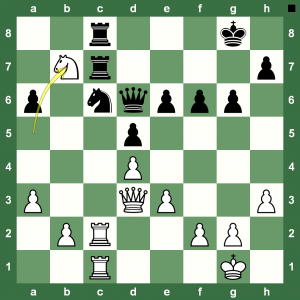 Watch that Knights journey in the Slav game from f3 to b7!